Just wanted to share, Im a big fan of garnets so I was pretty happy to get a small parcel of these recently. Not very big, just over 1ct each. 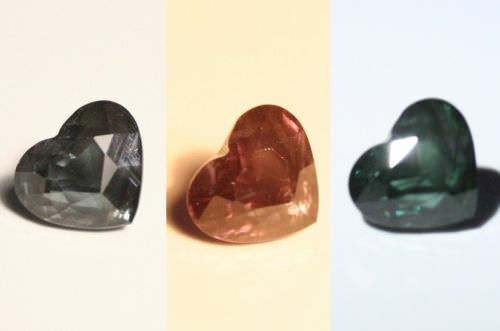 Those are TRULY nice - and a carat size is quite large for a blue garnet! What light sources are you using? I have more but they are slightly greener. Were you able to get the specs on the stones? Can you give us the dimensions? 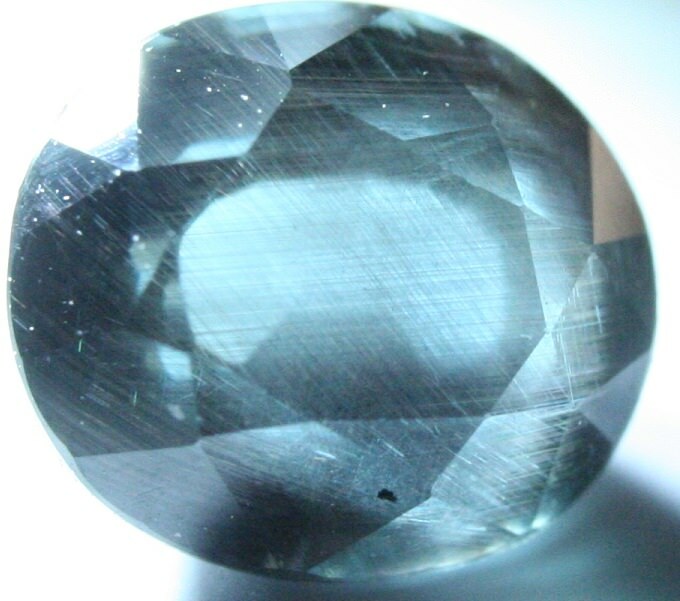 The needle inclusions on the first stone are very diagnostic for garnet I think. I have a similar (though much more included) example. 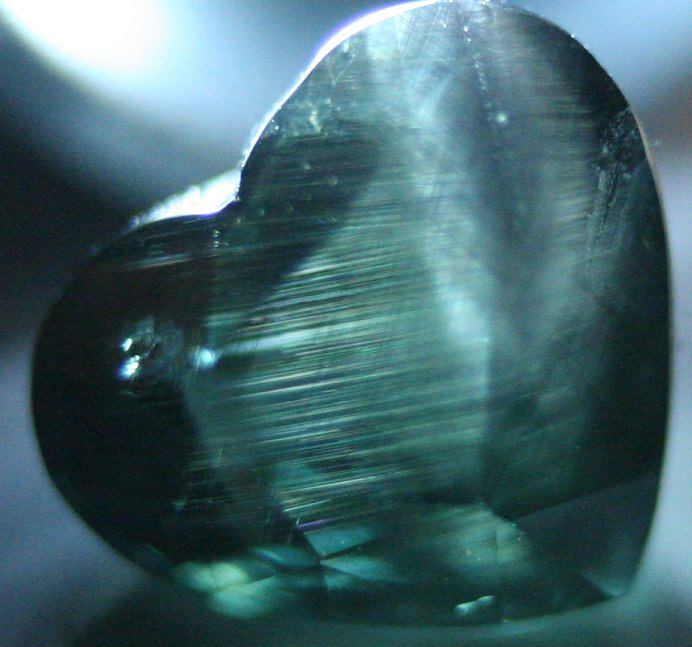 Agree, the needle inclusions are pretty common in garnet. Coincidentally that one sold pretty quick. Unfortunately no RI or Lab tests, brought from my source in Asia on my travels just last week. African origin, most likely Madagascar? Now the greener ones. 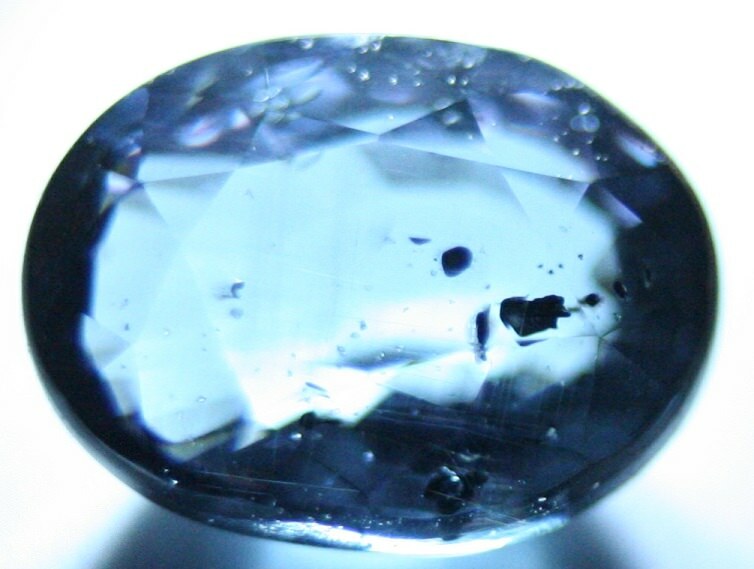 Ive seen internet vendors advertise these as blue garnet, but to me if its not a proper blue its not blue. Am I right in my assumptions ? Im unsure why many dealers are selling this as blue. Now for some terrible photos of inclusions, I need a better macro lens. Or just A macro lens would do. You have a background color change also! I understand 75Turbo's feeling. Under completely different lightings, everything is more or less color change, and then you come to question the reality of the color change character in a stone. 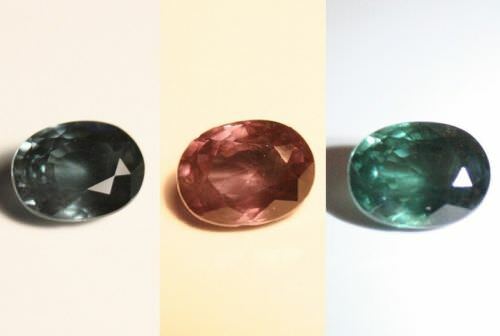 It would be interesting to get a picture of another stone, same basic color but NOT color change, close to one of these garnets, under these 3 lightings, so that we could appreciate how one of of the stones changes color and the other does not, even if the background changes too. This is a 100% blog standard issue with photographing cc stones. It really isn't suspicious or unusual. Messing around with the white balance to get the background color consistent isn't necessaroly going to reflect reality any better. There is a reason a lot of sellers just use photoshop to simulate the change. This is a 100% bog standard issue with photographing cc stones. It really isn't suspicious or unusual. Messing around with the white balance to get the background color consistent isn't necessaroly going to reflect reality any better. There is a reason a lot of sellers just use photoshop to simulate the change. Thank you Stephen, you've pretty much hit the nail on the head. 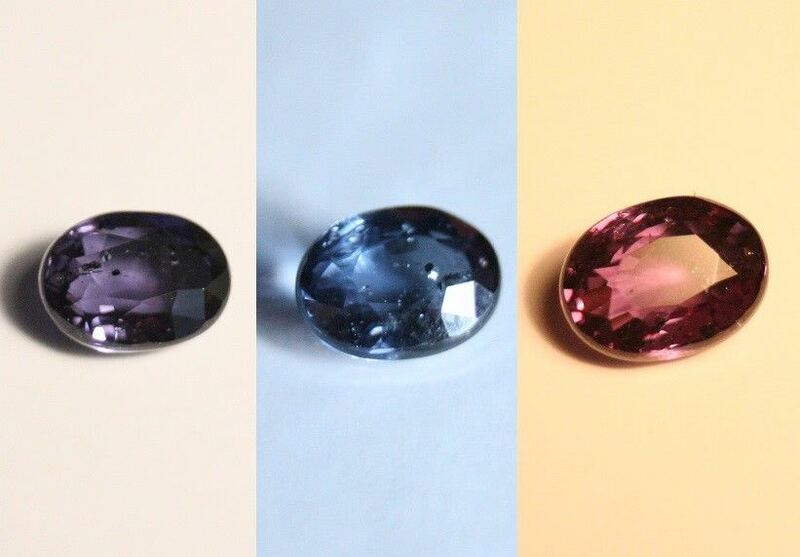 Having taken tens of thousands of pictures of gems in my lifetime, adjusting white balance on the camera never changes the colour of the gem. As you correctly point out only the background gets lighter or darker. 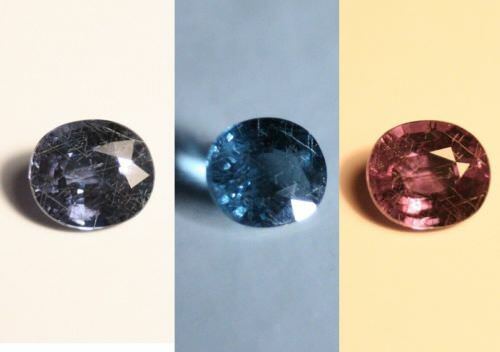 Initially I tried a purple garnet next to the blue, wrong choice obviously due to garnets tendency to "colour shift". 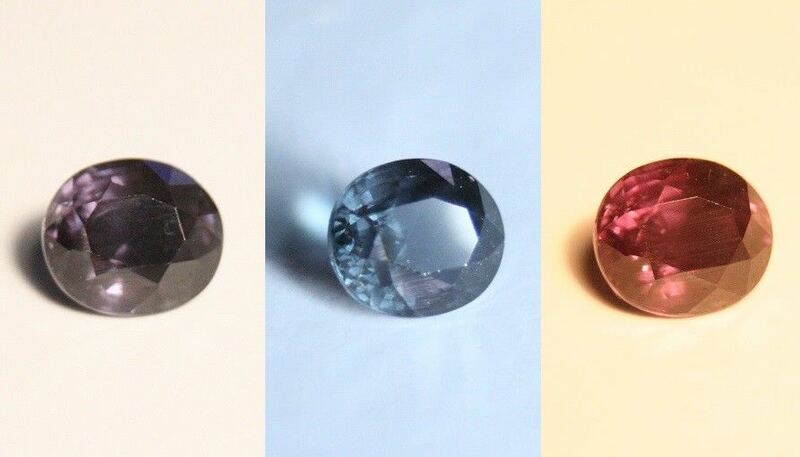 But you can see the difference between a supposed colour shift, and a real colour change with the blue garnet. 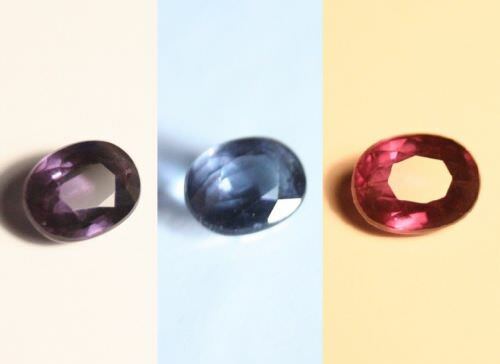 With the purple garnet there is no real visible colour shift to the eye, so that would rightly be questionable. 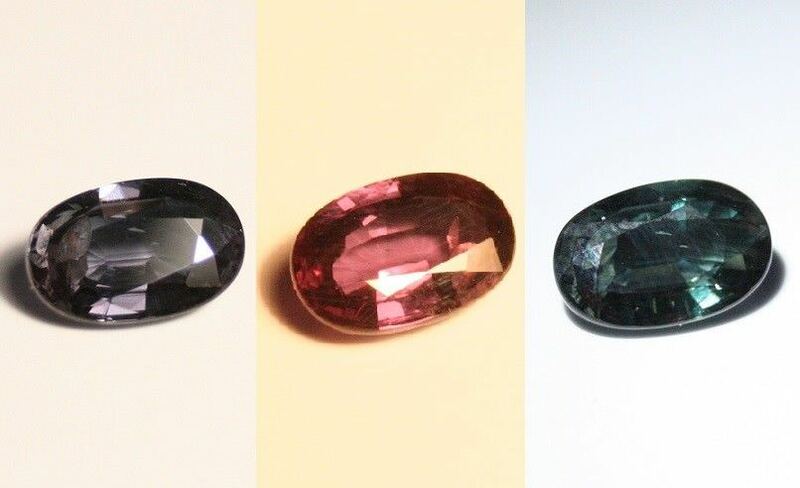 Results as expected, very obvious colour change with the garnet, and the zircon stayed orange.